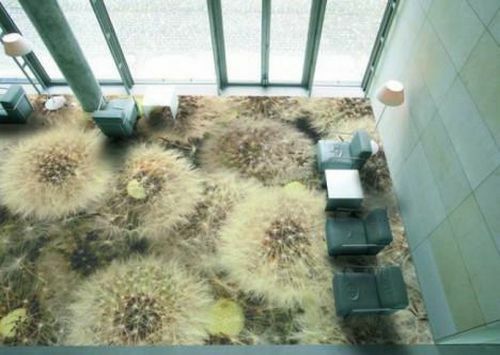 Check out these photorealistic 3D floors that have been created using epoxy. 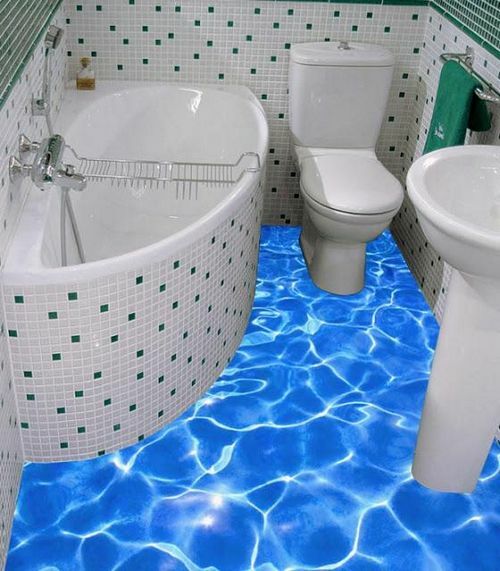 They are the crazy flooring fad of the future! 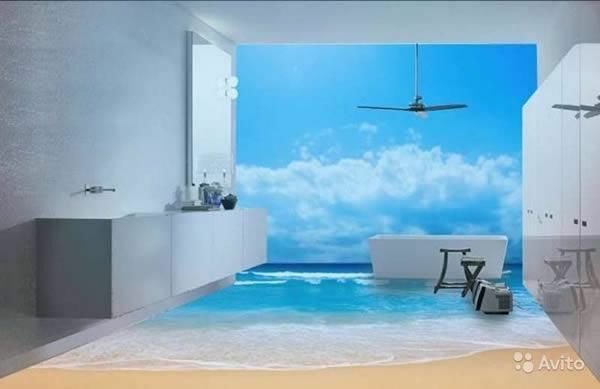 Walk the ocean side in your hall with a 3D epoxy floor that is designed to capture the hues and beauty of the scenery in all its glory. You can also add extra effects to the wall or even the ceiling for that much-needed dose of excitement! In the above image, the clouds, the waves and the beach have been combined to create a sense of continuity. 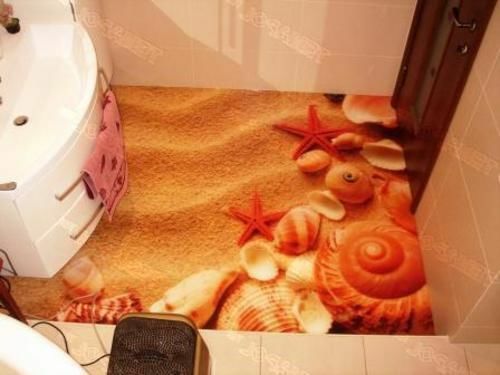 Seashells, sand and more on the beach floor…or should we say on the floor of your bathroom. These elements elevate the beauty of this area and give you something to look forward to every time you step into it. Themes like this stand out for their realistic look and feel even without the waves and the sky. 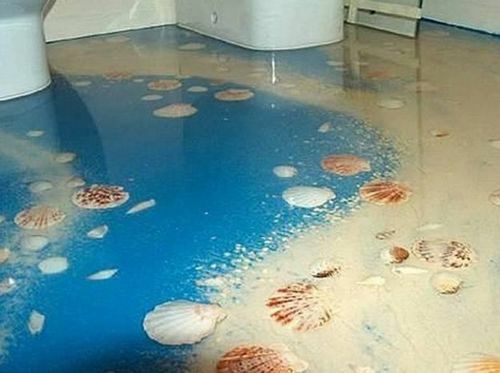 Add a fun element to your utility area with the seashells and sand epoxy floor that will leave you wanting nothing more. Forget about trekking and camping to get as close to the waterfalls as possible. 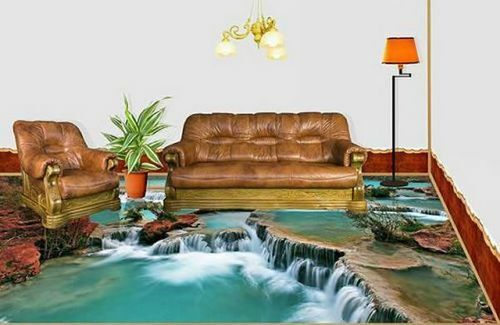 With this epoxy 3D floor, nature’s beauty captured in flowing water is yours to have without any energy, effort, travel or expense. Sit in your living space and soak in the relaxing atmosphere that this floor creates. 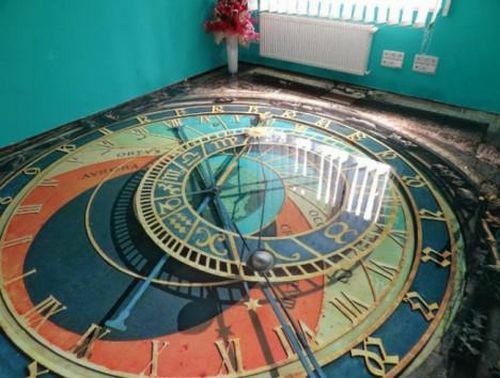 Can there be anything more whimsical that a massive clock on the floor? It is possible now! Enjoy the grandeur and precision that this giant timepiece projects on your floor every time you pass by. Your fridge alone doesn’t have to have color with all the fresh and lovely fruits and vegetables inside it. 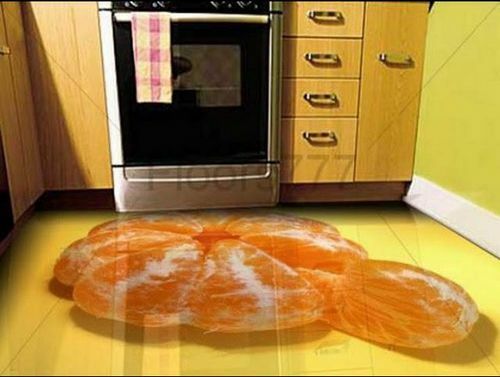 Add a nice spot of color to your kitchen floor as well. If you were looking for a little inspiration and motivation to eat healthy, well…this could be it! Even outdoor and commercial spaces can be spruced up by choosing pleasant and soothing epoxy themes. 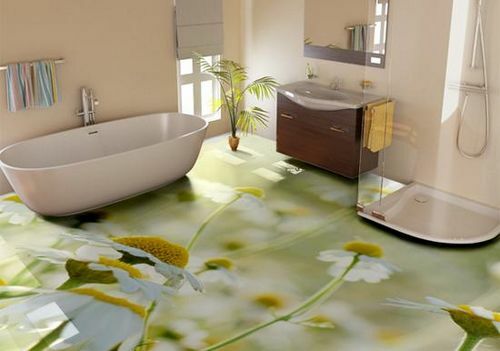 Feel like you’re taking a walk in the garden even when you’re in the shower with the floral epoxy floors. Ideal for any setting, this is the perfect way to add a little color and brightness to all white and cream spaces. 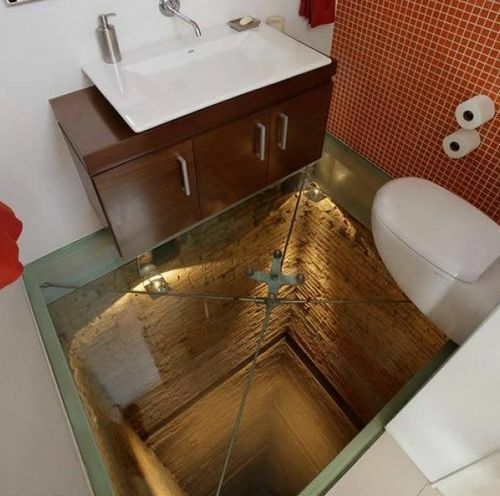 This might look scary, but it’s meant to be playful. 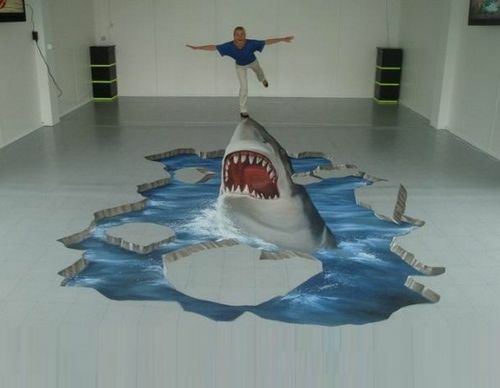 Epoxy makes the scene look amazingly real with the 3D effects and depth perception. These sea creatures that are known for their sudden attack only become objects of beauty to be cherished when captured in epoxy. Enjoy the dramatic effect! Love Rubik cubes? Then this theme is exactly what you need being an avid puzzle solver. 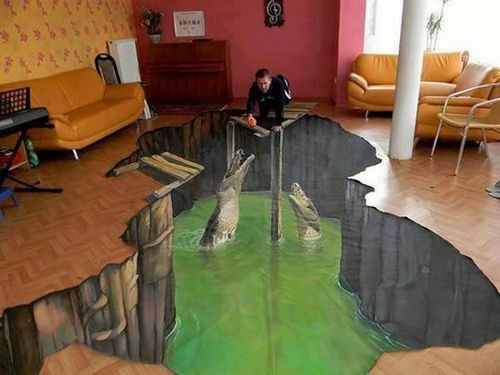 This epoxy 3D floor is as realistic as it gets. 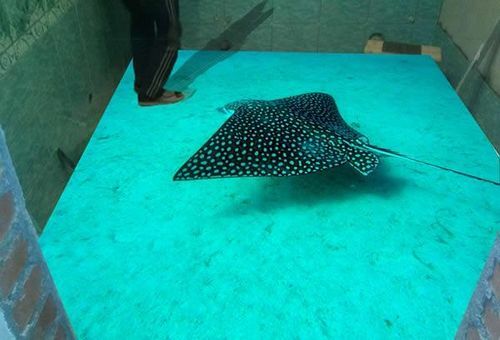 If you thought you’re not afraid of the deep, thing again! 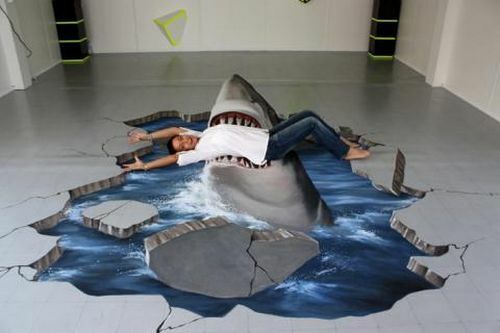 After that frightening shark, here are a few soothing, calm and peaceful 3D epoxy floors that you will love to see and enjoy anytime and anywhere. Water and fish – a great combination! 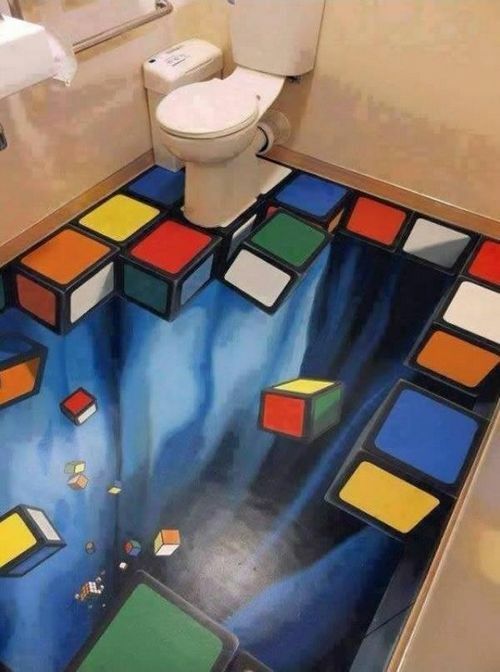 Forget about getting a new rug or installing a carpet or laying some new tiles to change the look of your floor. 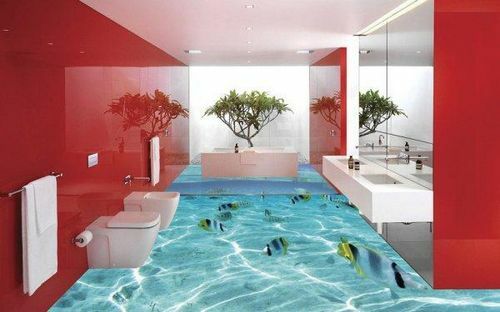 With epoxy, you can get results that are not only a lot more impressive, but also a lot more extreme.